Here’s a cool find! The William F. Stone & Sons Company in Oakland, California built the YMS-299. 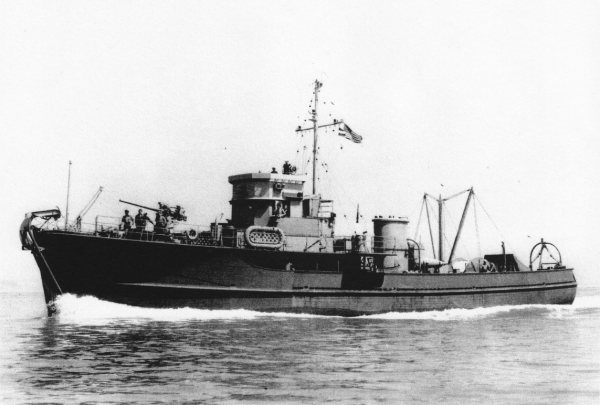 Someone from the Stone family has written up a story about the shipyard with a pile of photos, including one of the YMS-299 in 1942, before she went off into battle. I ran across this obituary of a soldier who served on YMS-299 and thought I’d share it. 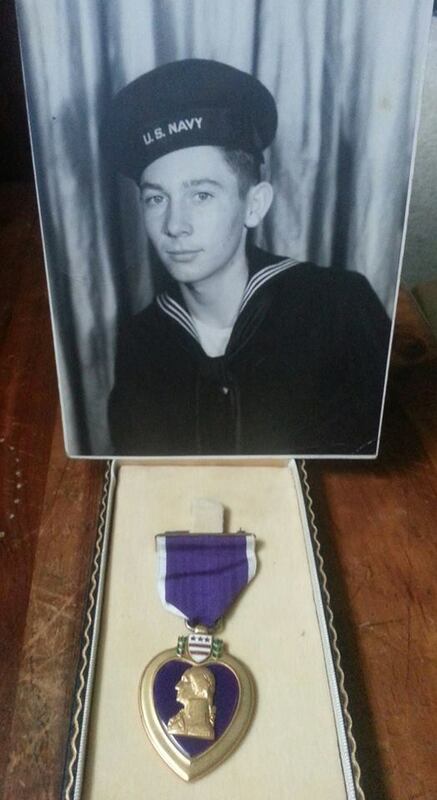 John F. Enright, age 77, Vet US Navy, Radioman Second Class, SV6, of WWII and Korean War. 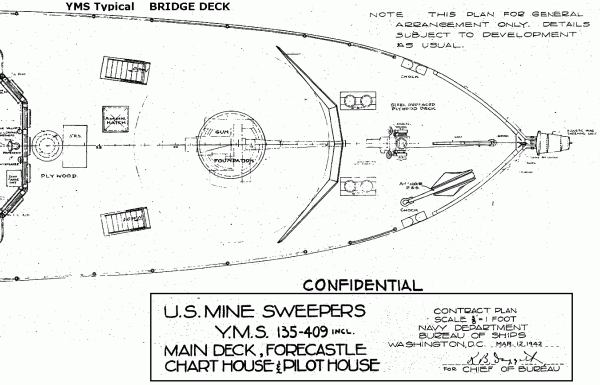 Served on the USS Haven, USS YMS 299 and USS New Jersey. Married for 50 years to the love of his life, Charlotte Enright, nee Cannon; best friend and devoted father of Diane (Larry) Pawelski, Mary Beth (Sam) Bick and Denise (Mike) Hurley; proud Gumpy of Tim and Matt Pawelski, Brian, Dan and Kevin Bick, Kara and Ryan Hurley; loyal and loving son of the late Ann Kelly Enright; wonderful brother-in-law to Florence Cannon and the late Rita (the late John) Felker and Donald Cannon; much loved uncle of Jack (Camille) Felker, Mary Denise (Wally) Veazie and Susan (John) Arvetis; will be missed greatly by his faithful companion, Chico “Dutch”. Visitation Friday 3 to 9 p.m. Funeral Saturday, 8:45 a.m. from the Andrew J. McGann & Son Funeral Home, 10727 S. Pulaski Rd., to St. Christina Church, Mass 9:30 a.m. Interment Holy Sepulchre Cemetery. Retired Engineer of Illinois Bell of 42 years. Just as an update, it may appear I haven’t posted in a while, but that isn’t the case. Most of the content in this website is back-dated to the time it happened in history. For example, browse back to 1945 and see some of the letters and journal entries I’ve been transcribing and filing. 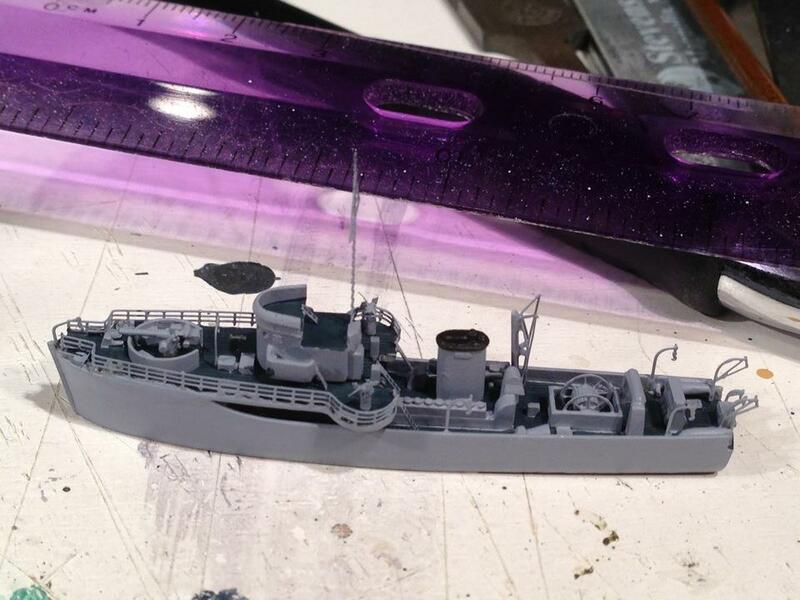 A friend and model-maker, Rob Weilacher, is working on a YMS model. It appears to be about seven inches in length. Nice job! You can see more of his work on his website, Loose Cannon Models. This is a great read over at thedailytimes.com. I sincerely thank you for your service, Ralph. 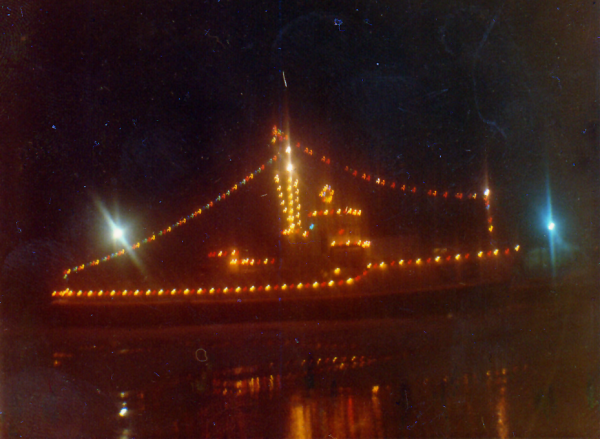 I received the below photos and story from boatswain, Jim Sherret, of the Canadian Navy cadets from the late 60’s to the early 70’s. I quite like the Christmas lights photo. As you can see, I posted a couple new letters. I’m making a concerted effort to post regularly again, now that the holidays are over. I certainly have millions of documents that need to be combed. We’re still pre-action here in terms of Chuck in the war. The next letter will be his first time aboard YMS-299, which is exciting. You’ll get his first impressions of the ship and we’ll be going into the shakedown, where the ship is stress tested prior to crossing the Pacific and going into firefights. I created a Facebook page to post batches of media faster, before I’ve had a chance to transcribe and/or research them fully. It’ll also make it easier to follow updates without having the blog posts mixed into your feed readers.